Yann Ilunga is a polyglot (speaks Italian, English, French, German and some Finnish), web entrepreneur originally from Locarno in the Italian-speaking part of Switzerland, now living in Helsinki, Finland. After Yann received his Master’s degree in social sciences with a major in Media & Global Communication, he decided to take the leap and become a web entrepreneur. He's all about taking action and wants to live life on his own terms, and that’s why he launched 360 Entrepreneur. He's the host of several shows, including the 360 Entrepreneur Podcast, the music business show The Jazz Spotlight and the upcoming show, The Podcaster Lab. Yann is the founder and host of the LARGEST podcasting virtual summit in the world: Podcast Success Summit. The first edition featured 80 of some of the best podcasters and podcasting experts around, including Jay Baer, John Lee Dumas, The Art of Charm host Jordan Harbinger and NYT bestselling author, Joel Comm. 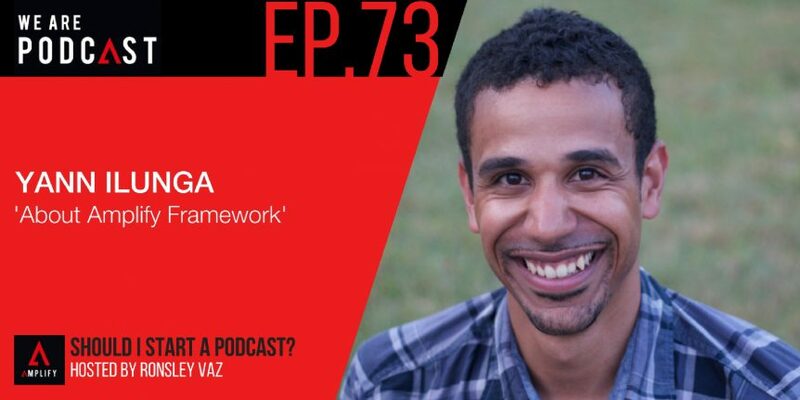 Simply put, Yann Ilunga is a web entrepreneur, podcaster and podcasting consultant!